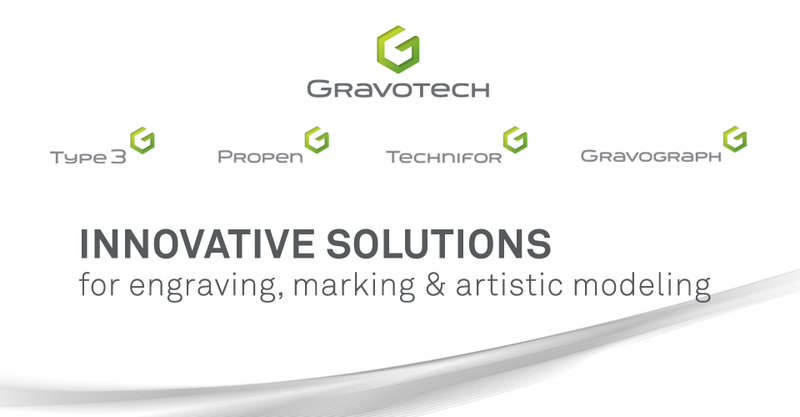 Gravotech, Inc. Duluth, GA is pleased to announce the anticipated arrival of GravoStyle™ 8 Engraving Software! Gravostyle™ 8 is the latest version of the most powerful engraving software on the market. - New interface - Easy to use, customizable and modern. Simplicity and customer benefits lie at the heart of this development. Because it is chronological, it facilitates job composition. - Matrix - The powerful new possibilities offered by the Matrix resolve the daily concerns of many customers. The wizard is simple to use and intuitive so it allows you to explore new possibilities. - New license system - The license is now updated automatically, via the internet. Easier, more flexible and bringing real time savings. - Laser CAM - Never-seen-before possibilities for deep engraving and logo engraving! - 3D laser - The laser beam - narrower than the rotary - allows applied work and intricate detailing. It is an advanced functionality that will impress! Diversify your engraving jobs with multiple functions specific for your laser engraving solution. · - The interactive stamp assistant guides you in the production of stamps with of one of the numerous template models or a blank template. · - Thanks to the nesting function, the positioning of each stamp is optimized to minimize material waste and to limit the emission of dust. · - Photolase gives you a realistic preview of your photographs on your chosen material to optimize the various laser engraving parameters. · - Identify your products and encode data with the barcode, DataMatrix™ code, QR code, and unique identification number (UID) generator with variables management. Not only have we enhanced laser engraving, but rotary engraving functions have been improved. · - The Computip function advises you on the correct engraving tool based on your material. · - Integrate Raster® Braille into your signage capabilities with the dedicated transcription function. · - For experienced users, the composition and toolpath environments have been brought together. This offers you the option to modify your design when the toolpaths have been created. GravoStyle™ 8 is available in 6 different levels for you to choose the perfect functionality and capabilities for your business. Contact your local representative today to upgrade to GravoStyle™ 8 and create the finest engraving jobs on the market!